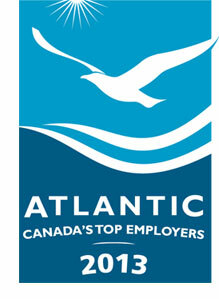 Today the University of New Brunswick was named one of Atlantic Canada’s Top Employers for 2013. UNB is among 25 employers recognized today in the Atlantic Business Magazine. Eddy Campbell, UNB president, says the university is committed to providing an intensely satisfying and fulfilling work experience. "Our university scores above average in terms of the benefits we offer employees, which is something to be proud of, but I'm particularly pleased to see our staff and faculty engaging so often with each other and the broader community. The generosity of the people who work at UNB is impressive and I hope we continue to seek opportunities to work with our communities." Now in its fourth year, the Atlantic Canada's Top Employers competition is organized by the editors of Canada's Top 100 Employers. This special designation recognizes the employers in Canada's four Atlantic provinces that lead their industries in offering exceptional places to work. UNB employs more than 3,000 employees across the province.